The group split in 1999. 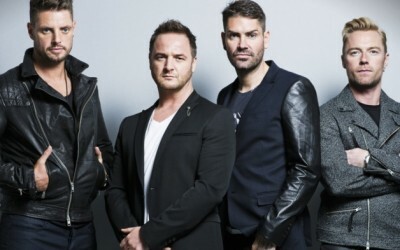 Boyzone made a comeback in 2007, originally with the intention of just touring. To date, Boyzone has released four studio albums and seven compilation albums. The group have currently based on BPI certifications sold a minimum of 5.9 million albums and 7.1 million singles in the UK alone. On 24 September 2013, the band performed one of the songs from their new album called “Love Will Save the Day” on The X Factor Australia. It was announced on the same day that the brand new album will be released on 25 November 2013 and became available to pre-order from Amazon. 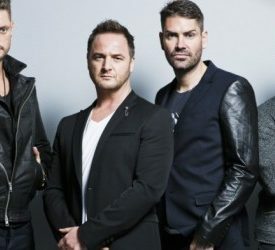 Boyzone released their new studio album BZ20 in November 2013 and it sold 200,000 copies in the UK, peaking at number 6 in the UK charts and number 7 in the Irish charts. Love Will save The Day was released a week previously and peaked at number 39 in the UK charts selling 20,000 copies. In early 2014, a compilation album ‘Love Me For A Reason: The Collection’ was released and it has charted in Ireland and Belgium. In 2014, further dates were added to their BZ20 Tour.